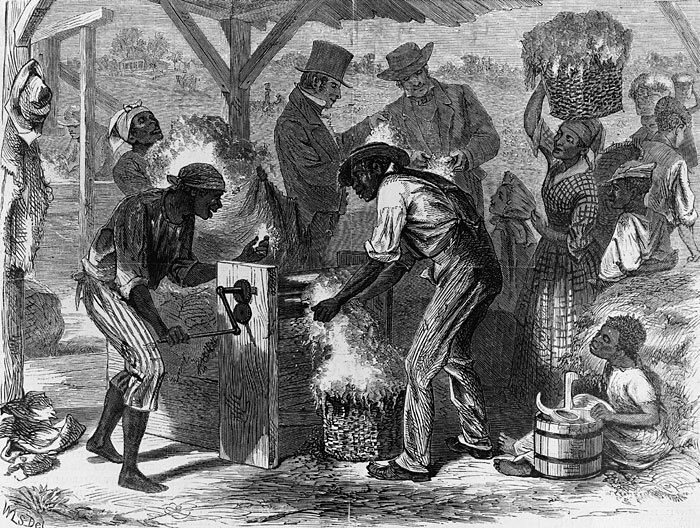 Men discussing prices while slaves fill the cotton gin to process the freshly picked cotton. Jeb stiffened. 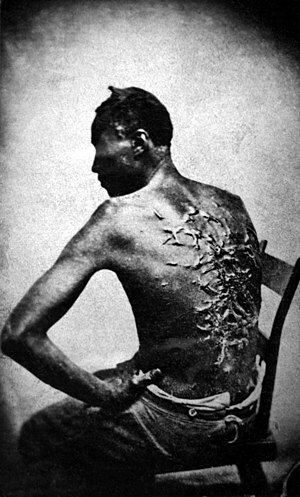 He’d seen how Beauregard Armand’s overseers worked the blacks of Moss Oak Estates and he’d seen the lash scars embossed on the backs of the slaves when they worked shirtless in the heat of the day. “You interested, Jeb?” Beau continued, ignoring Jeb’s discomfort. “I can let you have a pre-deal deal, if you know what I mean. Fairly offered for a fair offer, if you know what I mean. “Thanks, Beau, but I’ll offer at the auction. Gives me some time to sell those two mares for some real cash.” Jeb knew that some plantation owners sold cotton before the big auction in Atlanta, thus avoiding the low bidding near the end of the sale. It all depended on what position the seller drew. Jeb didn’t care much for the practice. Besides, he needed to get a governess for the twins with the money he had. He tried not to think of Violet back home in Boston because of the impending war. Secession! He hated even the sound of it. “All right, if you change your mind—“ One of the black girls carried a huge basket of cotton to the gin. She tripped and went sprawling, raw cotton flying everywhere. Beau slapped her hard across the face. Jeb noticed her for the first time. There was something different about her that he couldn’t put his finger on. Maybe it was her fine, aristocratic features. The girl got to her feet, gaping at Beau as if he had lost his senses. Her look didn’t escape Beau’s notice. “You sassing me, girl?” he hissed menacingly. She shook her head mutely. He grabbed her by the arm and started hitting her. Jeb tried to protest. “She’s sassing her master,” Beau yelled, hitting the girl some more. She protected her head with her arms, but still said nothing. Jeb gave the man all the money he had. Cotton was king in his world and the fact that he had the finest horse flesh in the county meant nothing until after the cotton auction, when the plantation owners had fat purses and wide grins. “What’s your name, girl?” he asked as they rode back to Sweet Spirit Acres. “Arabella,” she said, keeping her eyes downcast. They rode in silence after that. Jeb had noticed Arabella had not called him sir or master, and her accent was as good as his own. When they drove up the winding lane to the big wooden mansion that was the home at Sweet Spirit Acres, he jumped down from the carriage. The girl was struggling to get down from the seat to the step but she hunched over. “Are you badly hurt, Arabella?” Jeb asked. Before he could decide, two young girls dressed identically in white dresses with pink sashes and pink slippers raced to the carriage. Jeb watched in amazement as the black girl knelt down and gravely held out her hand to the girls. He could swear, if he closed his eyes, he would think a well-educated white woman was kneeling there. “Papa,” Rose said solemnly, “I b’lieve Mother will like Arabella.” Violet nodded, her black curls bouncing enthusiastically. The girls each flung their arms around Arabella and ran off laughing to the big house. The girl gave a faint smile. “I am a princess of the Shaka Zulu tribe, but no one cares here. And no one cares that their importation of me was illegal. All they care about is the color of my skin.” The depth of bitterness in her voice did not surprise him. She had spoken in a low tone, with no emotion, but Jeb sensed a storm roaring beneath the calm exterior. He regarded her thoughtfully for a moment. He didn’t want this extraordinary woman to work for him if she was unwilling. It would be like breaking the spirit of a fine Arabian mare. “I’ll make a deal with you,” he said finally. “I don’t want that kind of relationship,” Jeb said earnestly, then paused as her face clouded over and she drew back a little. “No, not that kind of relationship either,” he said quickly. “I think you would make a splendid governess for my daughters. They need someone who can provide an education and give them the maternal affection they are missing. The girls don’t know it yet, but their mother is not returning home. “Deal, then,” the young man said, relieved, and gently shook her hand. Now he only had to worry about Violet and his broken heart. Southern Princess © 2011 by Sandra Bell Kirchman. No reproduction allowed other than excerpts for the use of critiques or reviews. Full credit must be given to the author. All rights reserved. THE ABOVE FLASH FICTION STORY was written to answer Haley Whitehall’s challenge to step out of our comfort zones and write a historical piece of fiction. After struggling some, this is what I came up with. Word count was originally close to 1500, then down to 1215. When Haley clarified that the length could be up to 1500, I fleshed it out a little to its current length of 1315 words. 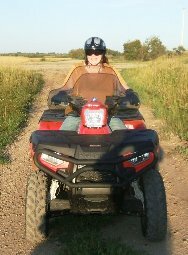 This entry was posted in Flash Fiction and tagged Confederacy, confederate states, cotton, king cotton, postaweek2011, pre-Civil War, Shaka Zulu, Zulu. Bookmark the permalink. Nicely done, Sandra. Quite timely too ~ in light of the 150 years passed since civil war broke out. So it is – glad that you enjoyed it, Nancy. It wasn’t easy, but it was fun. Yes, in view of cruelties worldwide, your stories are quite believable. An interesting ‘might have happened’ story. My Wife is Shona and very much an ‘African Princess’ in her own right. Her relatives fought in the first and second Chimurenga to free what was Southern Rhodesia from British Rule. Times move on – we have a happy mixed race relationship. I was interested in your wife’s real-life story and did a little research on Wikipedia. I found it all absorbing. What a rich history she has! Our Son has Moyo as his Shona name – it is a traditional greeting in my wife’s clan, from which you will conclude that she is of the Rozvi dynasty. But he has two good Celtic names as well, in keeping with his Scots Grandfather. Moyo – a great name for a diplomat 🙂 And you are welcome back anytime. A bold reminder of events many in the modern world would prefer to pretend never took place. Indeed, Xerius. Every nation has times they would prefer to forget. In the end, though, I suspect it is these events, as with people, that cause the country to grow. Excellent flash, Sandra. Well done. Thanks, Selena. It’s the best I could do in this genre. However, I long had a dream to do an historical treatment of Osiris and Isis. Not sure I could do it now, but I loved the whole sweeping epic of their lives and his death. Oh, I would love to read that. I’ll be first in line to buy the book! Really? I did (or attempted) the research many years ago – before computers. I found out that prehistoric means before recorded history. Fortunately, the local university library opened its facilities to me, and I did tons of research…had notebooks filled with information. Then I sat down to write the story and realized that, at that time, I didn’t have the writing skills I needed to write that story. I probably do now, but I think I lost the spark along the way. Maybe not, since it still fills my mind from time to time. To make those gods and goddesses come alive on the page…it’s a passionate story, filled with murder, loss, and love. A true murder mystery. Maybe someday you’ll be in the right place and the words will unfold. And you definitely have the skills now! Yes, it is a marvelous story. Before Osiris came along, the primitive Egyptians were terrified of death, didn’t think about it, had no burial chambers, etc. With Osiris came the concept of life after death and the idea that you were judged for what you did during your life. It made a huge difference to how the Egyptians lived their lives. I also had the idea that Osiris, Isis, Horus, etc., were real people originally, but they came from very advanced civilizations, possibly Sumeria or even Atlantis. The ideas and culture they brought with them elevated them, in the Egyptian people’s eyes, to god status. That was how I was going to write the book anyhow. I wonder if I still have my research notes. Even better! I like that idea. Time travel, reincarnation; a lot of different themes could be integrated into the story. wow sandra!! this is really really REALLY good!!! keep up the good work!!! im hooked! I love your enthusiasm, PM. It’s contagious. Thanks for the kind (and enthusiastic) words. I hope you’ll enjoy the next one as well, (when it’s written, that is 😉 ). Sheri S. Tepper. I’m really enjoying it, especially the strong woman the story builds around. Have you read it? Thanks for sharing your story, Janet. I’m trying to think…I believe this is my first historical fiction piece, long or short. It took me about 3 hours to finish it, maybe a little longer. I don’t know where the idea came from, although I remember reading about Shaka Zulu in high school. Once I had the idea, I wanted to show all sides of the question…the kind, caring side (Jeb), the cruel taskmaster (Beau), and a slave quite different from anything the slaveowners had seen before. If Beau had known how much she was really worth, he would have realized he practically gave her away. And the ironic thing is that Jeb just bought her to save her from Beau…although he was attracted to her…not so much in a physical way as someone to fill a desperate need at Sweet Spirit Acres. And yes, the little girl was named after her mother. In the larger version of this story, it caused some rivalry between the two girls, even though the grandmother’s name was Rose. I didn’t get to tell all that in the flash story though. Not enough room. What a wonderful story Sandra. Now I want to read the REST of it! Glad you enjoyed it, huffygirl. I am not an historical fiction writer really, so I’m not sure there will be any more…unless of course Haley issues another challenge in that vein. Then we’ll see 🙂 Funnily enough, though, I do have the rest of the story in my head…at least a skeleton outline. First time on your blog. A beautiful flash fiction. I am going to read other stories over time. Thank you for dropping by and sampling the wares 🙂 I have fallen in love with writing flash fiction and will be writing others. Please relax, kick back, and enjoy the fiction. I dropped by your blog, Thought Tavern, and thoroughly enjoyed the tone and ambiance of it. It seems to reflect your personality admirably…calm, joyous inside, and practical. I’ll be back. Glad you enjoyed it, frizztext. Oops, I didn’t see that you had subscribed…thanks – I look forward to seeing some of your incisive comments. And thanks for dropping by in the first place. This is a great story, Sandra! It’s imaginative but plausible – I’m sure it could have happened, but it never would have occurred to me. To tell so much in so few words is impressive! Thanks for the kind words, Kit. I’m not sure this story would have occurred to me either. However, part of the challenge was to write an historical flash fiction based on the picture at the top. At first, I couldn’t think of a thing that wasn’t trite and been done to death before. I did notice that the slave woman at the right of the picture looked different than the others and that she didn’t look downcast or beaten and that she was TRYING to do her job. Well, I started speculating as to why she was all those things. 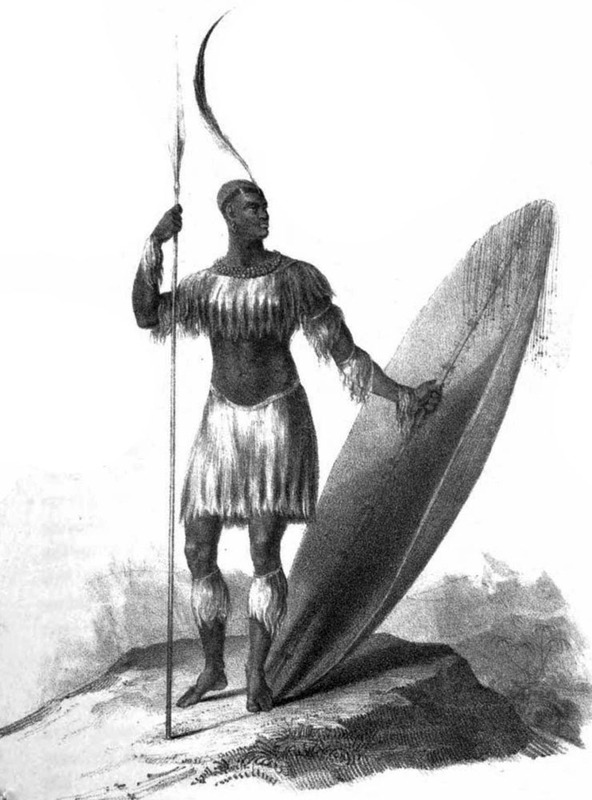 The name Shaka Zulu came to mind (I had heard about him when I was studying South Africa), and “Southern Princess” was what I came up with. The creative process is an amazing thing. I used to despair of coming up with, as you say, plausible plots. Then I found out that the ideas are ALWAYS there…it’s just a matter of looking for them. So I don’t worry (much) anymore. Thanks for dropping by and reading the story. Very well written. I was instantly drawn in. Loved it! Sorry it took me so long to respond! Truthfully I had forgotten I had even issues a picture prompt flash fiction challenge.